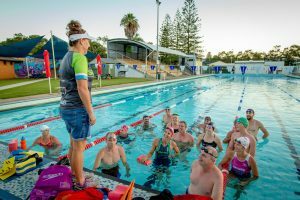 SMART’s swim squads are coached by Belinda Johnson a number of times per week at the Port Macquarie Olympic Pool. From Masters Swimmers to Triathlon Swimmers. Our surf swim squad operates most weeks at Flynn’s Beach. SMART Coaching also offers private coaching/stroke re-correction for all levels. Place: Brick Session, SMART Studio.